I love log cabin pillows, so I thought I would try one myself. I just need to put linen on the fourth side and get a pillow form. Yes, I started it without a pillow form. So I have no idea how big it will end up. I like to live dangerously. 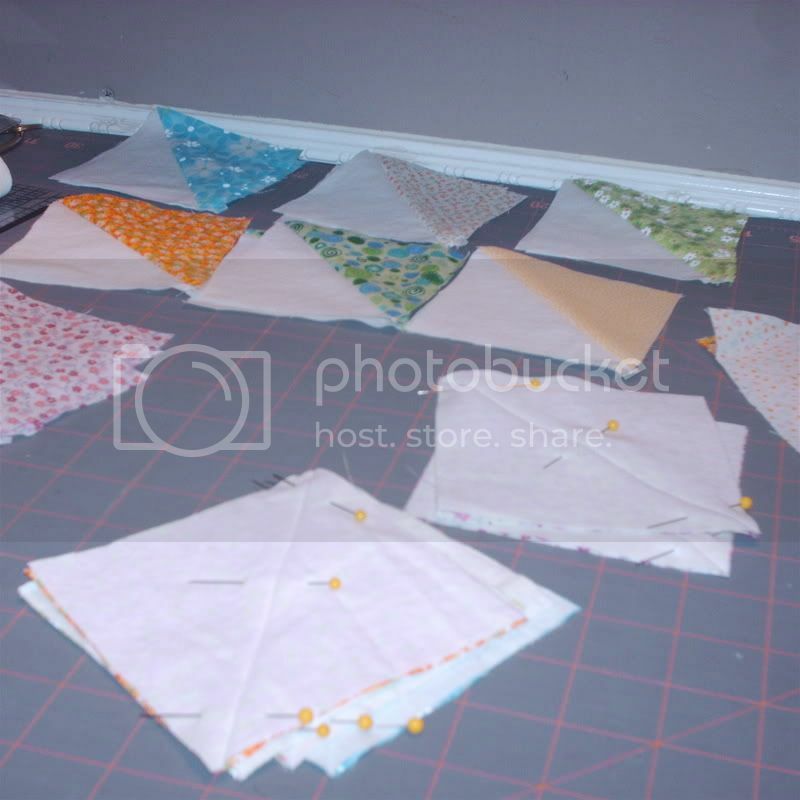 I'm trying something else new - a triangle quilt. 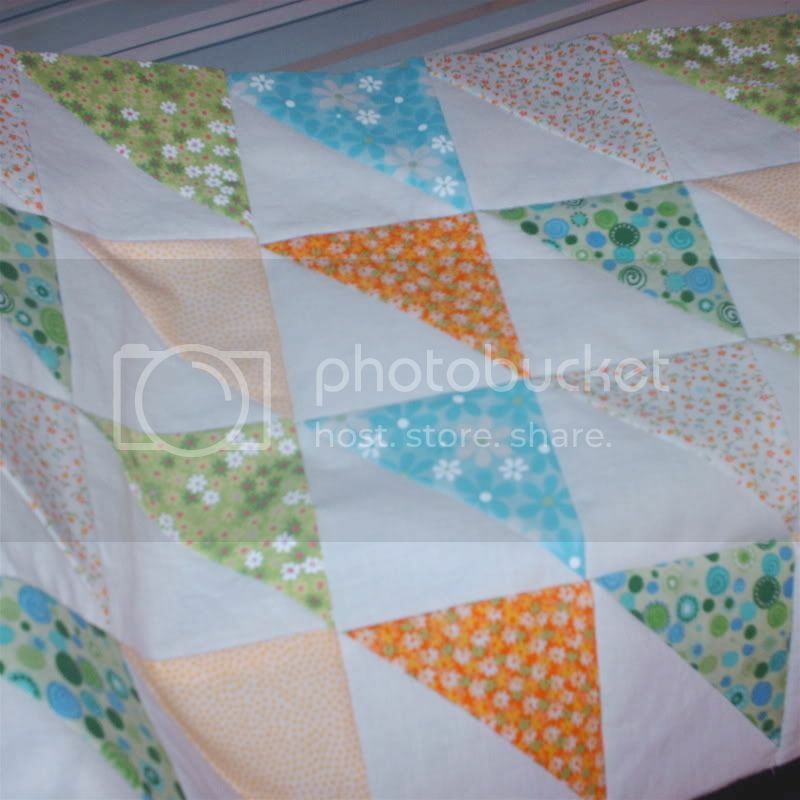 I made a doll quilt sized front and realized my triangle colors line up funny - must do something about that! I don't like hand sewing very much ... but my mom loves it! 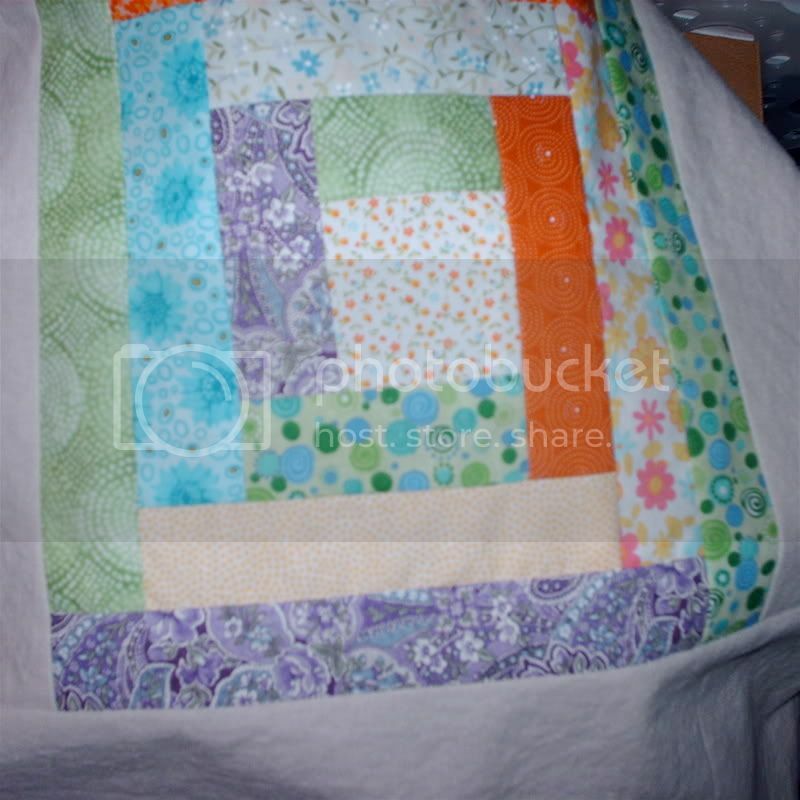 How convenient, since I might have several quilts in need of her particular skills rather soon!